ZTE replaced its chief compliance officer after it admitted to the U.S. government in March that it made false statements about meeting the requirements of a settlement agreement. The U.S. Department of Commerce Monday imposed a denial of export privileges against ZTE and a related company for seven years for failing to comply with settlement terms in an earlier sanctions case. Fridays are a mellow and reflective time here at the FCPA Blog. Feet on the desk, head tilted back, wondering what we'll eat over the weekend since the spouse took eggs benedict off our menu. So we were thinking -- were we too hard on the Justice Department this week? The DOJ appeared in a couple of posts that were a bit off topic, prompting a friend to ask, "Does the FCPA Blog have an opinion about everything or is it just a busy body?" For the record, we admire and respect most of what happens at the DOJ. We appreciate the public service its people perform and our hats are off to them. But they're at the center of all FCPA criminal enforcement and, don't forget, we're all lawyers around here. So we're bound to shower them with attention -- if not always affection. A few days ago the folks at the Economist Intelligence Unit, whose logo we're exploiting today, asked us to speak at their September '08 FCPA Conference in New York City. The St. Regis Hotel is a great venue and two of the speakers among many are Mark Mershon, the assistant DIC of the FBI's New York regional office, and Katheryn Nickerson, a senior lawyer at the Commerce Department, whom we've quoted here. They'll have perspectives on the FCPA that'll be different and worth hearing. Our other job, though, means we don't always have tight control over our schedule -- meaning we don't really know where we'll be tomorrow -- so we haven't committed yet to being in New York in September (our favorite month in the city). But we're working on it. On Wednesday this week we talked about Halliburton, Expro and Umbrellastream (makes you think of Mary Poppins, doesn't it?). If you haven't read about the DOJ's FCPA Opinion Procedure Release 08-02, try to make some time for it. It's a genuine piece of FCPA history -- the first time on record that an attempted hostile takeover has intersected with the FCPA's compliance requirements. The Release shows some of the enormous influence the FCPA is having on American business, and on companies abroad. It also shows how much involvement our friends at the DOJ can have in an organization's life on questions of compliance. Lawyers, investment bankers, pundits, professors and various experts are going to be talking about this Release (and trying to live with it) for decades. Well, it'll soon be time to turn the lights off around here. Another week gone by. We don't suppose there's a low-fat, cholesterol-free, no-sodium, high-fiber, nutrient-dense version of eggs benedict on the market yet? Probably not. In Singapore circa 1994, Jeffrey Garten, who was then the Undersecretary of Commerce for International Trade, hosted a "breakfast briefing." The event was sponsored by the American Chamber of Commerce, and the invitations said it would be a chance to discuss the challenges Americans face when they do business overseas. The turnout was light -- maybe a dozen or so early risers. After scrambled eggs and a few pleasantries, the room turned a bit hostile toward Mr. Garten. Why? Americans trying to do business then in Southeast Asia were constantly upset by the Foreign Corrupt Practices Act. The law put them at a disadvantage, they said. There wasn't anything close to a level playing field with the Europeans, Japanese and Koreans. Americans were being sacrificed economically for the sake of Washington's idealistic moral crusade. And on and on it went. After listening for about a half hour, Mr. Garten lifted a hand to call for quiet. His exact words have faded, but we remember that he compared the FCPA to mom and apple pie. He said it was the non-negotiable policy of the United States to oppose public bribery anywhere, and that the U.S. government was totally committed to leveling the playing field for U.S. companies by working with the OECD and its member countries. He finished by telling the assembled complainers to get used to the FCPA because it was here to stay. In the years since Mr. Garten threw cold water on his breakfast companions in Singapore, the OECD -- under Washington's lash -- has in fact enacted a comprehensive antibribery convention. Prosecutions by other OECD members still lag, but most Americans who follow the FCPA see real progress in the international anti-corruption effort. At the same time, the U.S. government has focused plenty of FCPA-enforcement attention on foreign companies. That has raised compliance awareness globally and encouraged American business people to believe that Washington is serious about that long-promised level playing field. On top of that, the Department of Commerce now lists foreign public bribery as a trade barrier -- similar to discriminatory tariffs, overly burdensome product testing guidelines, ridiculous labeling rules, and so on. Public corruption overseas remains a big issue. The U.S. government estimated that from May 2004 to April 2005, "competition for over 53 contracts valued at approximately $15 billion may have been affected by bribery involving foreign firms." In response, the Department of Commerce now has a "bribery hotline" accessible here. U.S. companies can use it to report bribes by their foreign competitors in international business transactions. As the Commerce Department's Kathryn Nickerson has said, "We worked hard to negotiate the OECD and other international anticorruption conventions, and we'd like to know whether our trading partners are following through on enforcement. At a minimum," she continued, "we want to put countries on notice that we are watching and expect action. So if you think you are about to lose or have already lost business to a foreign competitor because of a bribe to a foreign public official, don't assume that your Government can't do anything about it. We firmly believe that informing other governments of bribery by persons falling within their jurisdiction is an effective way to ensure that cases will be brought against this pernicious practice that we have outlawed since 1977." The U.S. government's strategies to level the playing field for American businesses overseas are working -- not all at once, but a step at a time. These days, we're fairly certain an Undersecretary of Commerce for International Trade could show up at a breakfast briefing in Southeast Asia and actually enjoy his or her eggs. Which makes us feel somewhat guilty about the treatment dished out to Mr. Garten back when he held the job. Fortunately, though, it appears he didn't lose his taste for the region. We noticed with some relief that in 2005 he joined the first Governing Board of The Lee Kuan Yew School of Public Policy at the National University of Singapore. Our subject is always some aspect of the the Foreign Corrupt Practices Act. So around here the U.S. Department of Justice and the Securities and Exchange Commission get lots of attention. But another U.S. government agency has a role to play in the FCPA -- the Department of Commerce. Its mission is "to foster, promote, and develop the foreign and domestic commerce" of the United States. It does that by helping -- that's right, helping -- American companies do business overseas. And what interests us is how Commerce helps U.S. companies comply with the FCPA. First, some background. The Department of Commerce concentrates most of its efforts on small and medium sized U.S. exporters. That makes sense. According to a 2004 USTR fact sheet, in the United States small and medium sized businesses make up almost 97% of all direct exporters, and approximately 65% of exporters are businesses with fewer than 20 employees. As our readers know, smaller companies with fewer resources struggle to comply with the FCPA. Big companies aren't excluded from Commerce's programs, but they usually know how to do buisness overseas and comply with the FCPA, and they have the resources to do so on their own. So it's the smaller companies that need the most help. With that in mind, let's see what Commerce has to offer. Finding a partner. The Department of Commerce helps U.S. companies find business partners or agents overseas. Its Commercial Service -- a group of trade and business experts stationed in about 80 U.S. embassies around the globe -- runs the International Partner Search Program. It actually identifies suitable strategic partners for U.S. exporters. As Commerce says, "You provide your marketing materials and background on your company, and the [Commercial Service] will use its strong network of foreign contacts to interview potential partners and provide you with a list of up to five pre-qualified partners. This information is available in 30 days or less." Vetting the candidate. Once a potential overseas partner or agent is found, either through Commerce or otherwise, it's time for some compliance-oriented due diligence. As we've said before, international joint venture partners and sales agents bring very high risks under the FCPA. Unreliable partners and agents -- those who might pay bribes to foreign officials to help the business -- need to be spotted early and either avoided or controlled. Doing that requires due diligence. And here again Commerce can help. The Commercial Service's International Company Profile (ICP) Program provides background reports on foreign companies in about 80 countries. The price is reasonable -- around $500 per ICP, depending somewhat on local costs. Be warned, however, that the Commercial Service doesn’t offer ICPs in countries where Dun & Bradstreet or other private-sector vendors already provide a similar service. But where ICPs are available, the Commercial Service specialists deliver a product that helps satisfy at least the basic level of due diligence. International Company Profiles are assembled by combing the local press, industry contacts and other sources. The result is a financial report on the prospective overseas partner or agent. Some ICPs are more detailed than others, depending on both the amount of information ultimately available and on the resourcefulness of the local Commerce specialist. Delivery time is advertised to be about 10 business days. The final report includes "a list of the company's key officers and senior management, banking relationships and other financial information about the company; and market information, including sales and profit figures, and potential liabilities." Uncle Sam's opinion. Crucial to FCPA due diligence, the Commercial Service will also provide "an opinion as to the viability and reliability of the overseas company or individual you have selected as well as an opinion on the relative strength of that company's industry sector in your target market." It's not called an FCPA due diligence opinion, but that's practically what it amounts to. Sure, there are lots of scenarios by which a "reliable" overseas partner or agent might still cause FCPA problems. But the International Company Profile and the viability and reliability opinion are great evidence. They demonstrate how the U.S. company tried to pick a law-abiding foreign partner or agent. In most cases, evidence like that goes a long way to protecting U.S. companies and executives who find out later that an overseas intermediary may have caused an FCPA violation. Our recommendation. We've dealt with people from the Commercial Service in a number of countries. Overall, the specialists are unabashed boosters of American business overseas. They have impressive, even astounding knowledge about local markets, and they're resourceful as well. We've met some with a great sense of humor, which is a welcome relief in countries in transition and under stress. In fact, we can't think of any reason why straight-shooting smaller companies shouldn't check in with a Commercial Service specialist -- either in the U.S. or the country of destination. There are literally hundreds of Commercial Service offices -- across the U.S. from Akron to Ypsilanti, and around the world from Albania to Zimbabwe. The chats are free and may ultimately contribute richly to successful overseas business development and effective FCPA compliance. A special acknowledgment to Kathryn Nickerson, Senior Counsel, Office of the Chief Counsel for International Commerce, U.S. Department of Commerce, for some of the information and ideas in this post. See her speech to the American Bar Association, National Institute of the Foreign Corrupt Practices Act, Special Focus: Issues Faced By Small and Medium Enterprises, Washington, D.C., October 17, 2006 here. 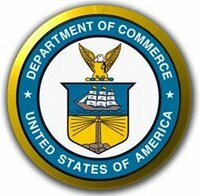 View the Department of Commerce's International Company Profile Program here.